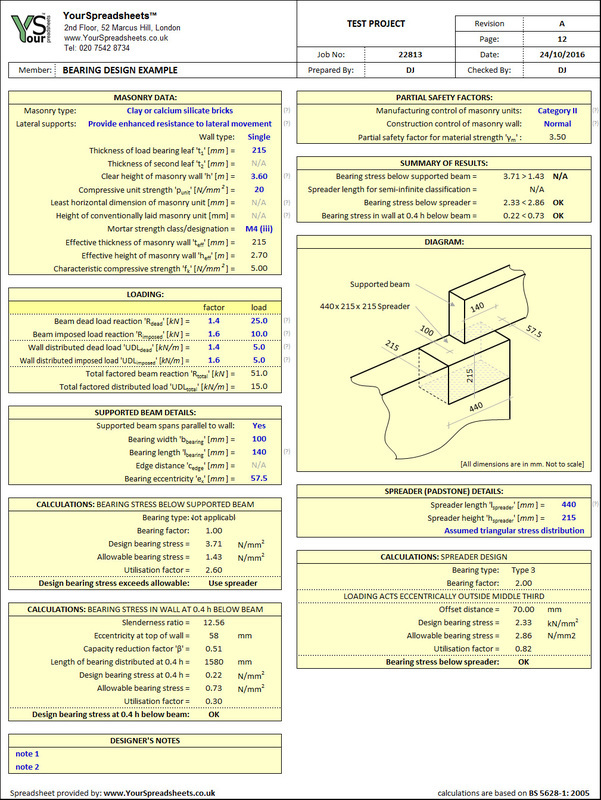 Spreadsheet for assessing masonry wall under beam or lintel load. And for designing concrete padstone where masonry alone is not adequate. 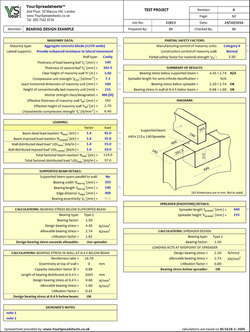 Allows design of single leaf and cavity walls. Supported beam or lintel can span parallel or perpendicular to wall and be positioned eccentrically if required. 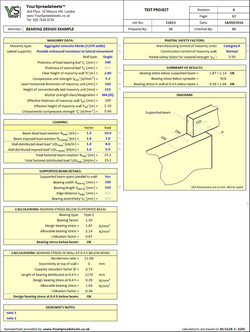 It includes a diagram that updates automatically to reflect current design scenario. 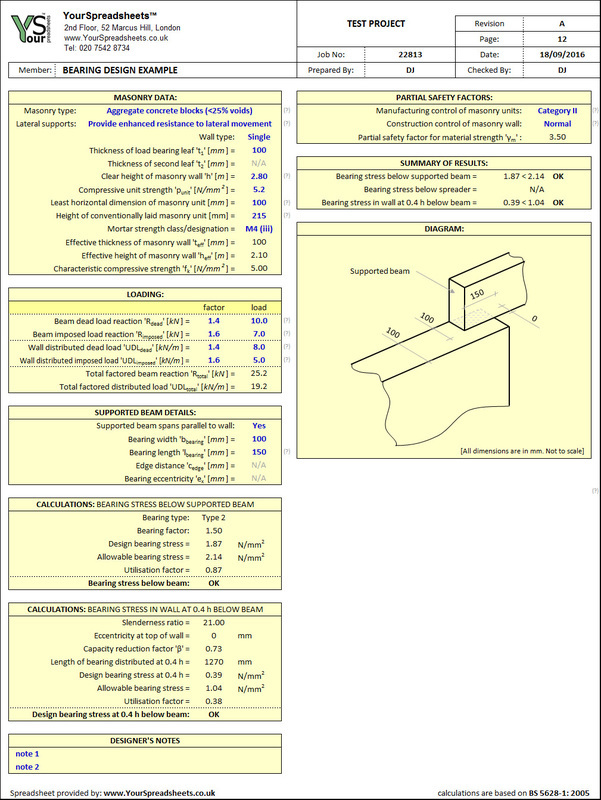 This makes it a very easy to use tool for engineers working with masonry buildings. It includes in-spreadsheet help pop-ups to make use simpler and more efficient. - Design is based on British Standard (BS 5628:1 2005). FREE Lite version: Bearing Design to BS (1.0). The restriction in this free lite version is that you cannot change the company name nor the logo (shown in top left corner) - currently set to a made up company. Also mortar strength, leaf thickness and dead load are locked. FULL version: Bearing Design to BS (1.1).